Save those bullets soldiers. Vicious budget cuts are coming. The leader of the Marine Corps urged personnel to preserve ammunition and gasoline to brace for automatic spending cuts in Washington which are about to hit the Pentagon. 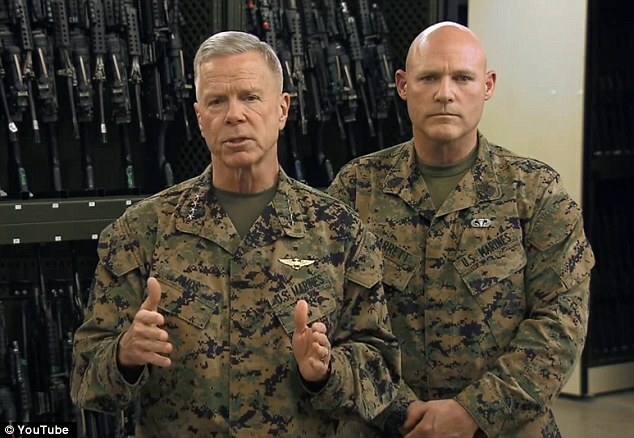 ‘Save every round, every gallon of gas,’ Marine Corps Commandant James Amos told service members in a video that went live on YouTube on Friday. ‘Take every single aspect or opportunity in training to get the most bang for the buck,’ he said. The Marines, Navy, Air Force, Army and Coast Guard are getting ready to cut billions of dollars from their budgets as the result of the ‘Sequestration’ spending cuts, which went into effect on March 1 after the White House and Congress failed to reach a deal on reducing the federal debt. The Pentagon announced in January that it will begin taking steps to freeze civilian hiring, delay contract awards, reduce personnel numbers and cut back on military maintenance in preparation for the looming budget cuts. 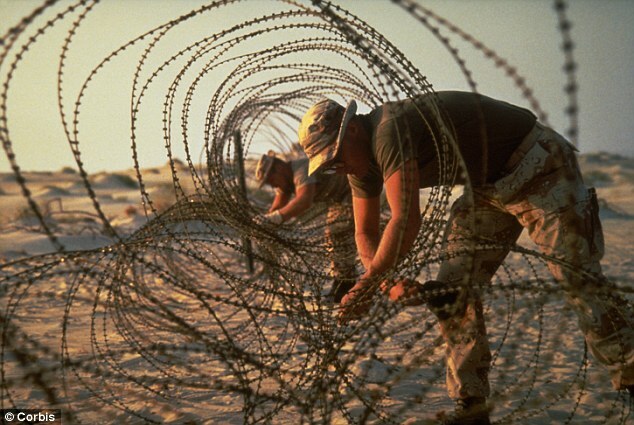 As part of that effort the Marine Corps is in the process of cutting its headcount from 202,000 to 182,000 active-duty members. Former Defense Secretary Leon Panetta told reporters in the beginning of the year that the Defense Department is facing a spending reduction of nearly $500 billion over the next decade, not counting the $85 billion in automatic cuts that went into effect this month. 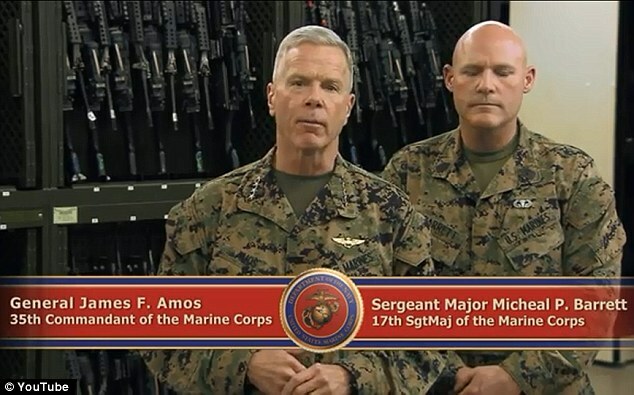 ‘This is no time to do business as usual,’ Amos said in his YouTube video with Micheal Barrett, 17th Sergeant Major of the Marine Corps. ‘Things have changed. The landscape’s changed. 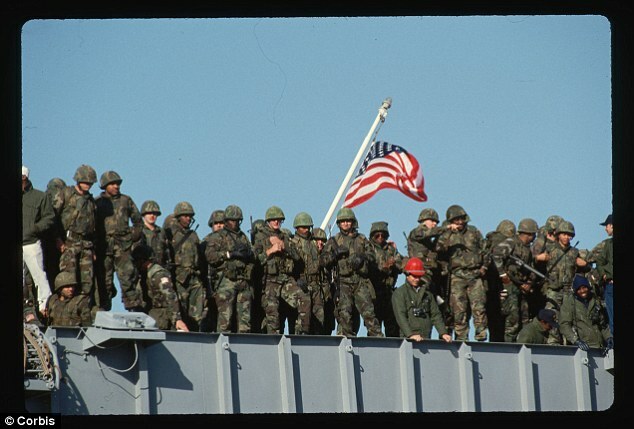 Going forward the primary mission of the Marines will be to preserve their own readiness, Amos and Barrett said. 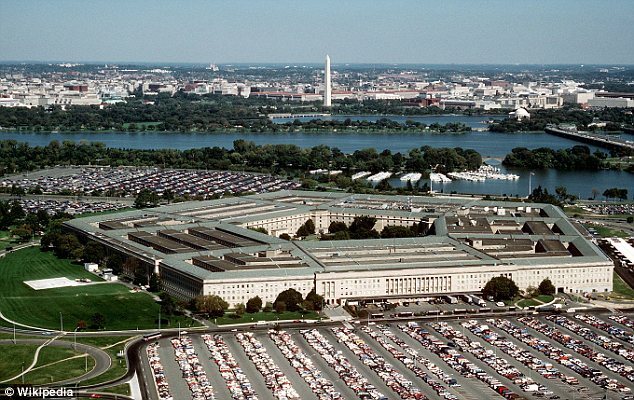 That will include plans to ‘recapitalize’ and ‘modernize’ the military branch in part by taking money out of its facilities maintenance and education system.